Hamas, the group some believe is most responsible for the ongoing strife in Palestine/Israel, has won the majority of the Palestinian parliamentary seats. The victory came as a landslide with Hamas winning 76 of a total 132 parliamentary seats, a victory that was just as shocking as it was unpredicted. 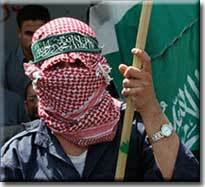 Exit polls did not show Hamas in the lead and many western powers were horrified of the news. Whether or not Israel and the United States recognize the new Palestinian parliament waits to be seen.